This absinthe is created using honey spirit as a base – alcohol distilled from mead. Thanks to this the resulting absinthe exhibits mysterious honey characteristics that you will not find in any other absinthe on the market. A specialty absinthe built on mead spirit complemented with aromatic herbs from our garden. We adore absinthes and we love crafting new recipes and styles. 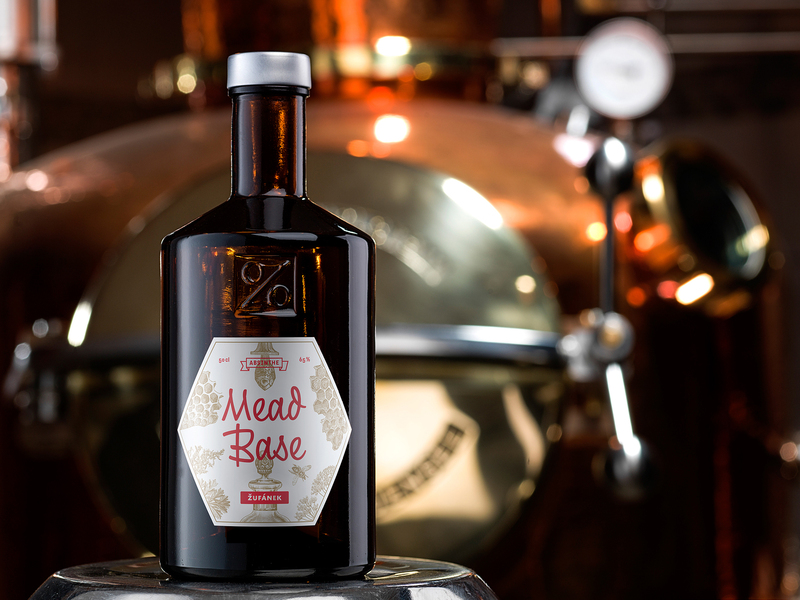 From our prototypes a product was born and given the name Mead Base, which we first distilled in 2009. 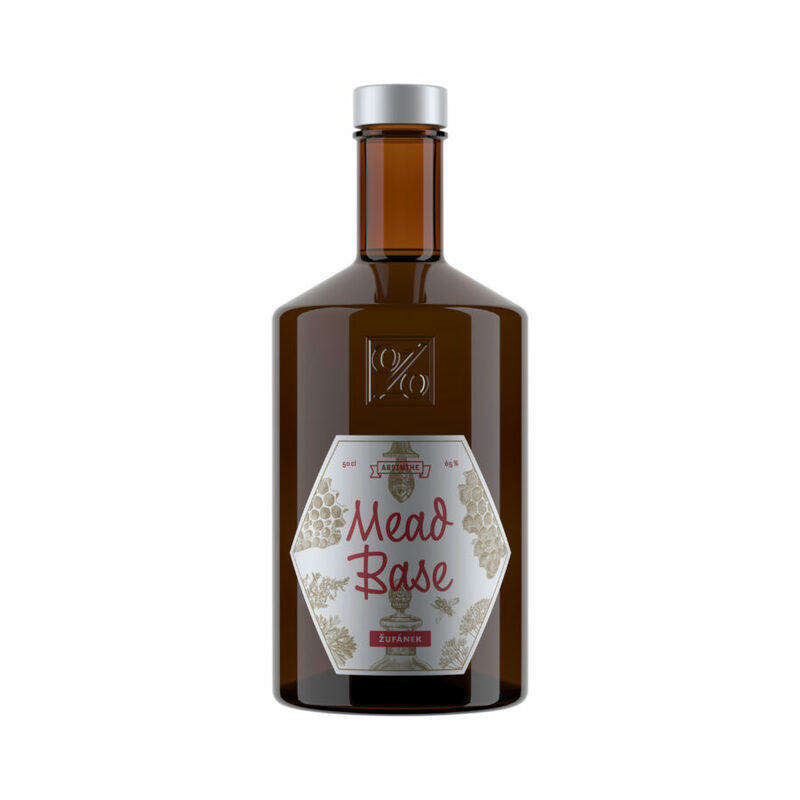 Mead Base grows out of our use of an altogether original principle. In place of the more traditional grain alcohol or grape spirits we employ a distillate from our own three-year-old Žufánek Mead to macerate the herbs in. After the initial maceration with aromatic herbs grown exclusively from our fields the result is then redistilled. The inimitable aroma of sweet honey in combination with bitter wormwood, anise, fennel, hyssop and Roman wormwood so distinguishes our product that no other abinthe comes close in taste and aroma . The third batch, which has just now come on the market, was distilled in August 2016 in a limited quantity. To produce one liter of honey spirit (distilled mead) requires 1.4 kg of honey.